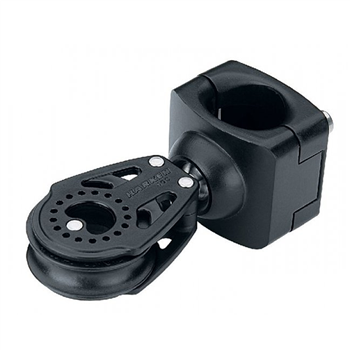 Harken® recommends equipping every system with Carbo lead blocks for safe furling from the cockpit. Use the 7401 40mm block on the bow pulpit as an inboard lead. It has a ball and socket base to align blocks for smooth leads aft.